Prior to World War II, merchant houses connected by one or more courtyards were located between Brühl and Richard-Wagner-Strasse. 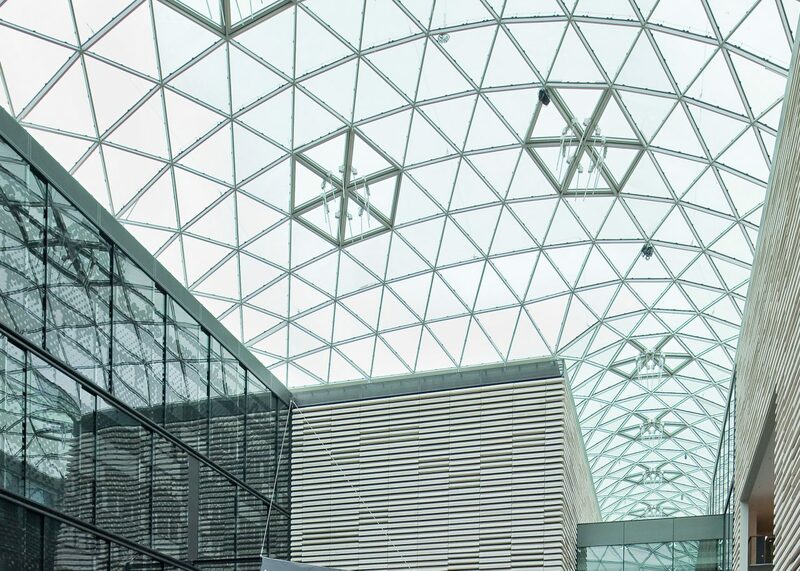 The idea of stores connected by courtyards was picked up in the architectural design of the new building, undertaken in the period from 2010 to 2012. 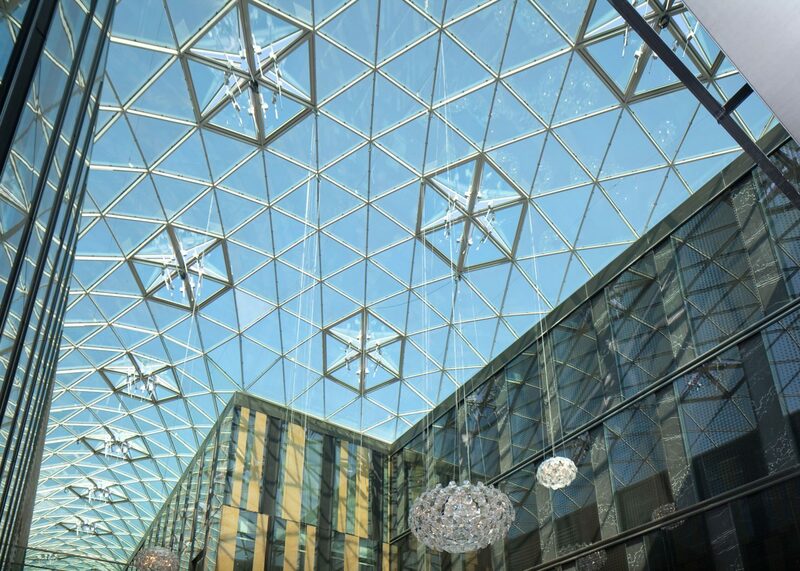 The courtyards – in today’s case the shopping malls – were sealed with glass roofs that were as filigree as possible. 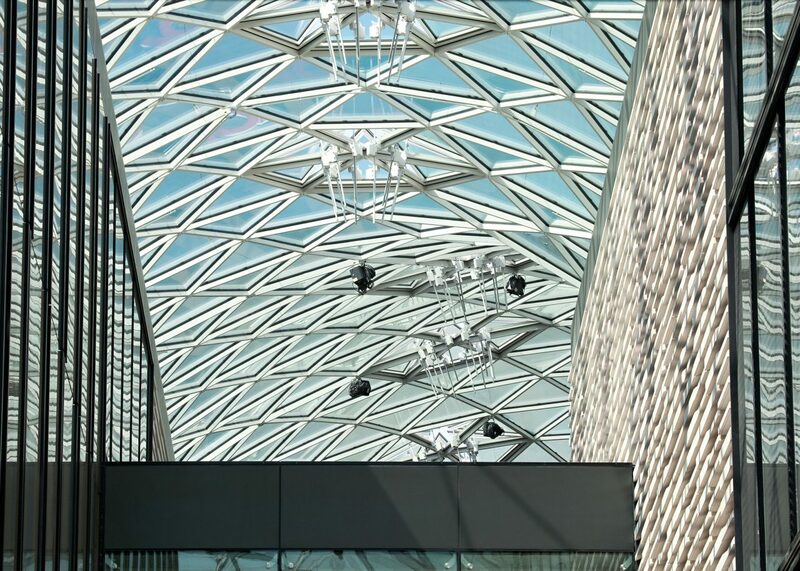 The free-curving form of the roofs called for a steel supporting structure of triangular shapes, similarly covered using triangular glass panels. The supporting structure was prefabricated in individual components using the patented “Lite Shell” system. The supporting bars are manufactured in square, sharp-edged solid steel sections. 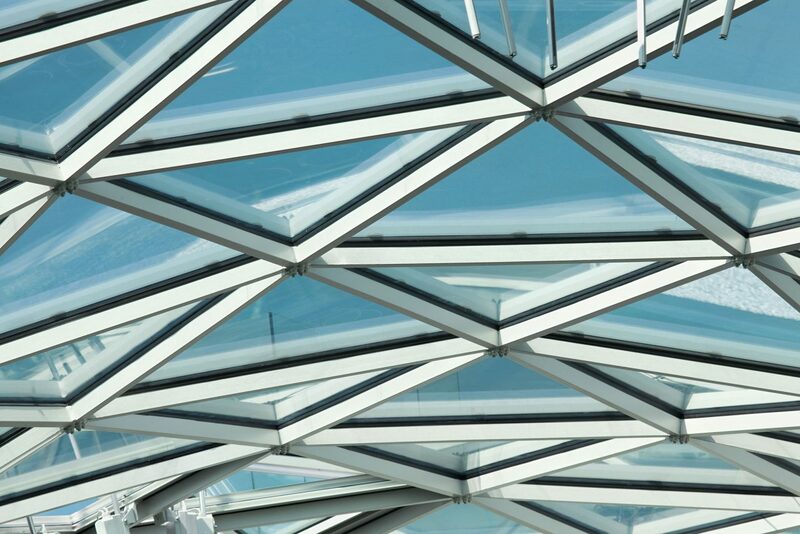 The two ends of each supporting rod were milled to the correct angle using a CNC process, so that when assembled the planned roof form was automatically created. The supporting bars are connected at the nodes using screwed connecting plates. 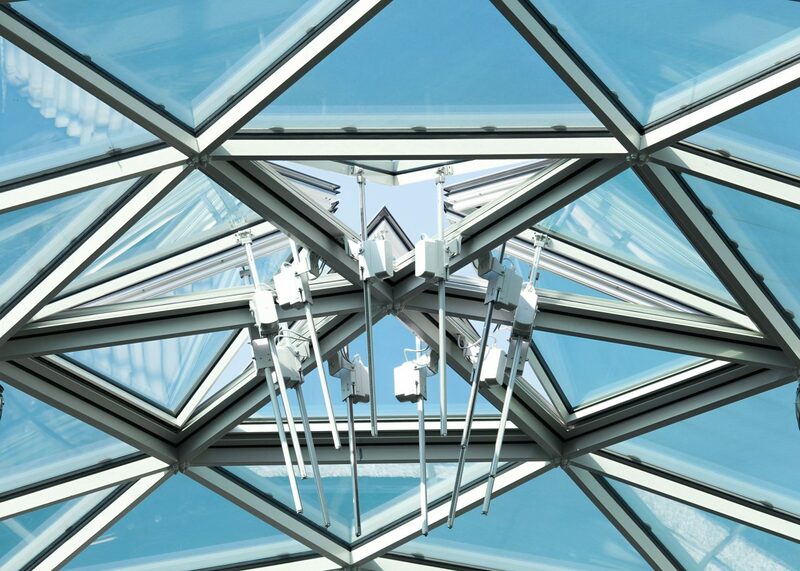 The insulating glazing follows the supporting structure, is triangular and is attached using suction holders. 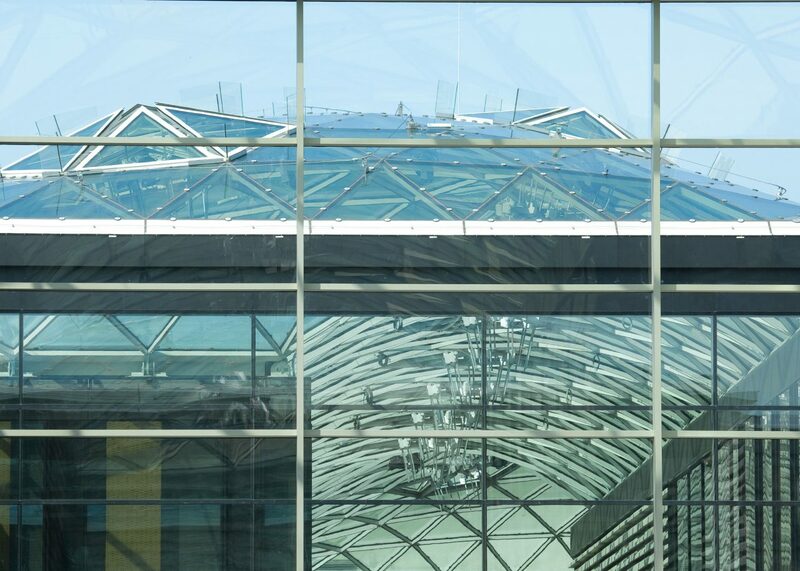 Natural smoke and heat venting casements specially developed for the project were installed in the free-form roof. The triangular windows, arranged in circles, open and close synchronously, like the petals of a flower. Following a complex planning and approval procedure, a DIN license was obtained for this form and arrangement.